There was a time not that long ago when Port Royal, Jamaica was among the largest cities in the “New World,” a hub for pirates, prostitutes and crime, an important seaport for commerce and a major port for the Royal British Navy. Founded by the Spanish in 1518, the city fell into the hands of the British in a 1655 invasion of Jamaica. The English gave the town its name of Port Royal and erected five forts strategically placed to defend the harbor. By 1659 an estimated 200 houses plus various shops and warehouses were in place. By the time Port Royal was whacked by a 7.5 magnitude earthquake and tsunami in June, 1692, the city had grown to a population of about 6,500. At the time it was the capital of Jamaica. During its heyday Port Royal became a haven for pirates. They hid out in the harbor and then raided commercial ships passing between Spain and Panama. The English lacked the troops needed to properly guard the city so the Jamaican governor made a pact with the pirates to defend the city. Consequently, Port Royal gained a reputation as a haven for the pirates of the Caribbean. They brought with them the prostitutes, liquor and wild all-night parties. Some believed that the 1659 earthquake was a “judgment by God” against the city because of its wickedness. The city was growing so fast that there was soon a lack of room for new buildings. To accommodate the growth the builders began to erect taller, heavier brick buildings. Thus when the island nation was slammed by the earthquake, most of the city sank into the sea. The earthquake and tsunami killed an estimated 2,000 people. After this, poor water and lack of food claimed another 2,000 lives. Most of Port Royal was destroyed. The capital was moved to Kingston, where it remains today. Sports divers have been visiting the ruins of the sunken city for years. It lies some 40 feet deep just off the southeastern coast of Jamaica at the mouth of Kingston Harbor. Since Texas A&M University conducted a 10-year Nautical Archaeology Program at the site between 1981 and 1991, Port Royal has become an archaeologist’s haven. It has been lauded as the most important underwater archaeological site in the Western hemisphere because portions of the city rest almost intact, filled with Sixteen and Seventh Century artifacts from world visitors as well as the indigenous people who occupied the site before the city was founded. Several early pirate ships also lay sunk in the harbor. They are being carefully harvested under controlled conditions, and various other research teams are busy conducting “digs” throughout the city. 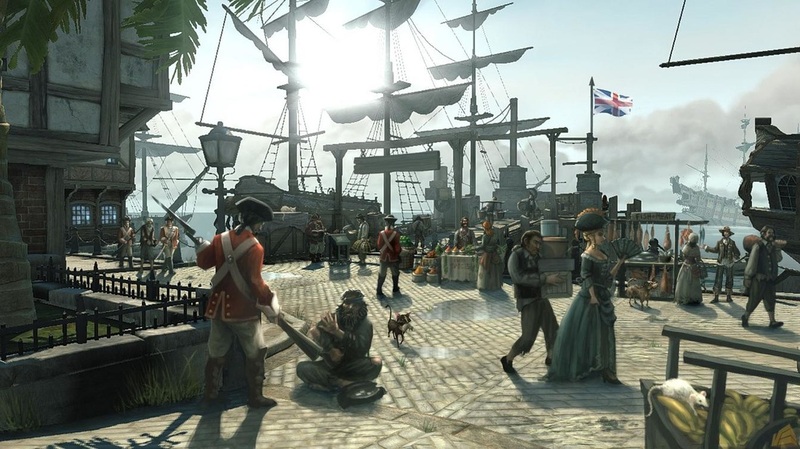 As the work progresses, the researchers are reconstructing everyday life in this English colonial port city in great detail. Long-range plans are to erect a five-star hotel in the part of Port Royal that still remains above water. Visitors will find a combination shipbuilding museum and underwater aquarium where native tropical sea life can be viewed. The Royal Naval Dockyard there includes the headquarters for the Admiral of the Royal Navy. A special pier has been constructed for cruise ships to make regular stops.